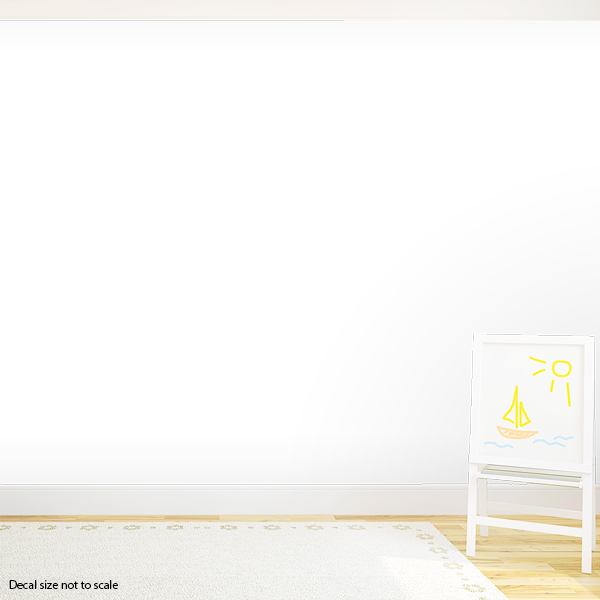 Fun and Whimsical Dinosaur Wall Art Decal. What will your child name their new village? Grass - 5.5' x 18"
Tall Dinosaur - 19" x 22"
Spiked Dinosaur - 29" x 13"
Flying Dinosaur - 23" x 13"
Grass - 12' x 39"
Tall Dinosaur - 41" x 47.5"
Spiked Dinosaur - 63" x 28"
Flying Dinosaur - 50" x 28"
Large size is shown in example photos.